If your home has wireless dead spots Cover Your Home: How To Find and Remove Wireless Blind Spots Cover Your Home: How To Find and Remove Wireless Blind Spots Here's how to find - and eliminate - these wireless dead zones. Read More or interference issues, extending your home Wi-Fi network can be a great idea. The additional coverage can help you reach corners of the house that you just can’t reach with your main router, or could ease some of the interference by bringing your devices closer to an access point. Home wireless networking Wireless Networking Simplified: The Terms You Should Know Wireless Networking Simplified: The Terms You Should Know Do you know the difference between an "access point" and an "ad hoc network? What is a "wireless repeater" and how can it improve your home network? Read More isn’t always user friendly, and there isn’t a foolproof solution that works for everyone, but here are some of the more effective ways that you can extend your own wireless network. Before we get going, let’s clear up a potential point of confusion: although used interchangeably at times, wireless bridges and wireless access points are not the same thing. Home devices are sometimes called bridges because they support network bridging, but this is technically incorrect. Rather, they’re access points with bridge support. Confused? That’s okay. Here’s what we mean. A bridge is a device that facilitates the wireless connection of two separate networks. 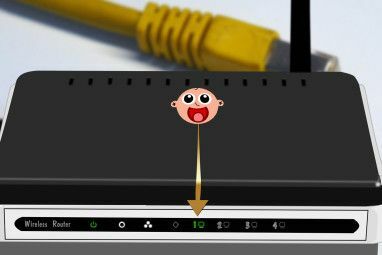 For example, if you have a home theater system in your basement, your connection could look something like this: Router > Wi-Fi > WAP > Ethernet connection to your devices from the bridging device — such as the television, gaming console, Blu-ray player 0r other connected devices. 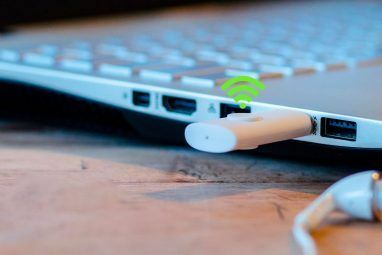 Essentially, the wireless access point is there to “catch” the signal and then output it through Ethernet to provide a new “wired” connection for your devices. An access point, on the other hand, allows for wireless connection from multiple devices to a central “hub”, which is usually a wireless router. The reason this distinction is important is because all modern routers have access points, but not every access point is a router, nor can it be bridged. For example, a wireless extender is an access point, but it’s not a bridge. Learning how a router works How Does a Router Work? A Simple Explanation How Does a Router Work? A Simple Explanation Routers may seem complicated, but they're actually quite simple. Here's a quick guide to routers, what they do, and how they work. Read More is half the battle. So with that distinction out of the way, we can move onto the actual methods of extending your home network. A wireless bridge How to Turn an Old Router Into a Wireless Bridge How to Turn an Old Router Into a Wireless Bridge Not sure what to do with your old router? Try turning it into a wireless bridge! The process is surprisingly straightforward. Read More is basically one router communicating wirelessly to another router. Individual devices are connected to the routers via Ethernet cables, but the two routers are linked wirelessly. This unites both routers, allowing all connected devices to be on the same network. You can create numerous configurations from this setup. For example, a wired bridge can extend your network by connecting two routers via Ethernet. One or both could also act as a wireless access point to the network, or you could simply plug devices into the ports on each router. The benefit of the bridge is connectivity. Since devices are wired to the router, the connection is typically faster, more stable, and less prone to interference than Wi-Fi. The downside, however, is that the bridge itself is vulnerable to Wi-Fi issues. Wired bridges don’t have this problem, but the trade-off is that you’ll have an unsightly wire running between the routers. Wireless extenders are standalone devices, but some wireless routers are advanced enough to work as extenders, too. The problem with two wireless routers connected to the same network is an issue called “double NATting”, which results in some functions working and others not. 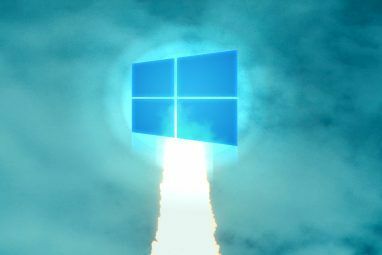 This is because a particular process (the one that allows all of your connected devices to share a single IP address) would occur once for each connected router. 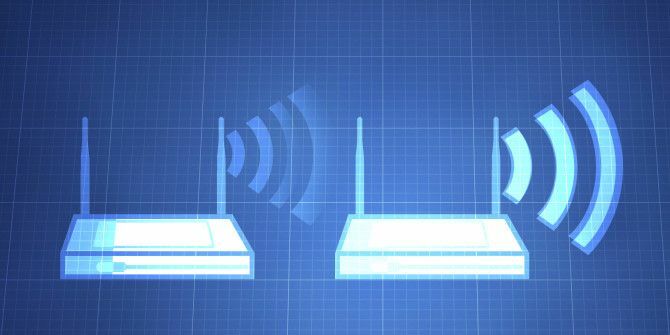 You can dumb down most routers to the point where they basically act as nothing more than an access point, but truth be told, it’s easier to just use a bridge or buy a wireless extender instead How Wi-Fi Extenders Work & 3 Best Ones You Should Buy How Wi-Fi Extenders Work & 3 Best Ones You Should Buy Wi-Fi extenders, which are sometimes called Wi-Fi repeaters or Wi-Fi boosters, boost the signal from your wireless router. Read More of using a router connected wirelessly to another router. The biggest benefit of wireless extenders is the lack of setup, wires, or hassle. Modern extenders are pretty much plug-and-play and only involve plugging them into an outlet, and then pressing a button to connect to your wireless network. As for downsides, if your Wi-Fi signal is already weak, it’s going to get even weaker as it passes through the extender. Another common problem is dead zones. Extenders won’t “grab” the initial signal from your router in these areas and therefore have no signal to pass on. Powerline networking What Are Powerline Adapters? 8 Things You Need to Know What Are Powerline Adapters? 8 Things You Need to Know Powerline ethernet adapters basically turn regular electrical outlets into ethernet outlets. As useful as this is, there are some things you should know before using them for your own home network. Read More is when you use the electrical wires in your house as Ethernet extensions. These wires are primarily responsible for carrying electrical current, but they can also be used to relay Internet signals. A kit normally comes with two powerline adapters. You plug the first adapter into a power outlet, then connect it to your router using an Ethernet cable. From there, you plug the second adapter into a power outlet in another room. The first adapter forwards its signal through your walls to the second adapter. Now you can plug your devices into that second adapter with another Ethernet cable — and if you plug in a second wireless router, you can use it to extend Wi-Fi across your home. The main benefit of powerline networking is ease of setup. Very little networking knowledge is required to use these adapters. They also don’t have any visible wires other than the Ethernet cables that plug into them. There aren’t many downsides to powerline networking, but the most notable one is the fact that they don’t work as well in homes with older electrical wiring. That being said, if you go this route, then there are a few tricks to improving powerline speeds 6 Tips to Improve the Speed of Your Powerline Network 6 Tips to Improve the Speed of Your Powerline Network Is your powerline network slow? Here are some easy tips to help you speed things right back up. Read More that you should learn. What do you use to extend your home network? What are the pros and cons of your setup? Let us know in the comments below.